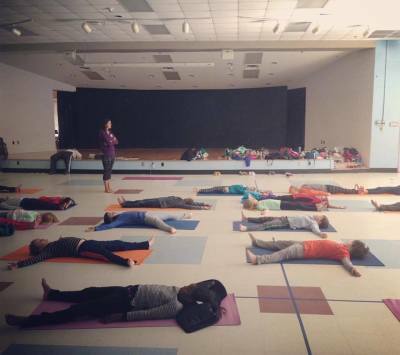 ​Looking for a kids yoga program for your school? We offer elementary and middle school programs based on the needs of your individual school. For more information, please contact us. This 30 minute yoga program is a ton of fun. We sing songs, read stories, play yoga games, and learn the benefits of our breath! As we play yoga, children take away important tools such as how to use their breath for self-regulation, using peaceful, kind words to problem solve, and simple ways we can listen to our bodies.